There are so many reasons to make the Blue Ridge Parkway in North Carolina your summer road trip. It's hard to know where to begin. My family and I had a great time getting away from it all. The southern tip of the parkway isn't too far out of Knoxville. There are just too many views to enjoy and trails to hike. To spend only a few hours there. 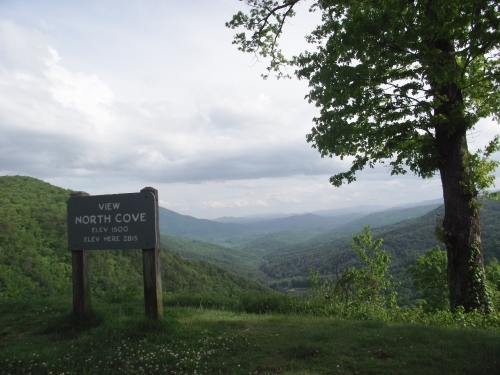 This view is of the North Cove from the southern end of the Blue Ridge Parkway. There are many more views like this and like the shot of Table Rock Mountain. 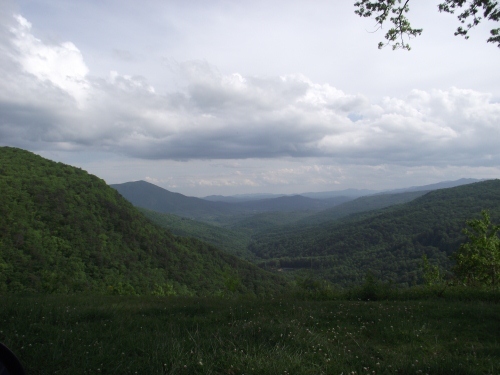 Traveling the Blue Ridge Parkway in North Carolina made for a great family road trip. We packed a picnic, tossed extra camera batteries in the car and headed out. Our starting point was the Roan Mountain State Park campground. It made a good jump off point for many of the area attractions. The Blue Ridge Parkway was just a short drive from the campground It is a 469 mile drive through the mountain wilderness. Communities along and just off of the route make the drive even more interesting. They are fun places to explore small shops or pick up picnic supplies. Stopping in helped our family make the most of our road trip to the Blue Ridge Parkway. If you drive the route I hope your family has just as good a time as we did. For more blog posts please visit www.youvebeenreviewed.net.